Some of us are a fan of cooking or baking. While we cook delicious food to serve our stomachs or of our friends, we don’t realize the mess we make behind. It is only seen when you are tired, and ready to sleep. 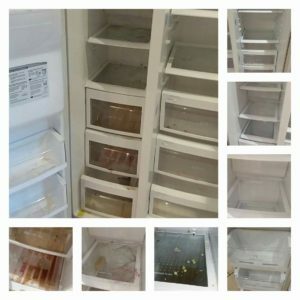 Delaying it, and with your tough routine, you never get the chance to clean it, and while it gets greasier, and greasier, you wait for the day you finally get time to clean your beloved kitchen. Having a deep clean carried out on your premises on a regular basis is the best way to achieve this in order to provide a high standard of cleanliness and hygiene, for your peace of mind as well as for your customers. Grease and dust can accumulate in difficult to access places such as ducts and extraction systems. 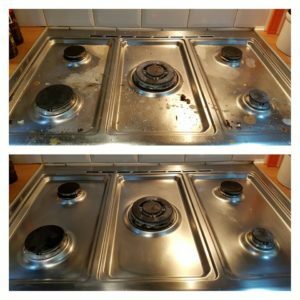 We provide a specialist deep cleaning service to eradicate all these problems and are experts in duct cleaning and the degreasing of catering equipment (including ovens and grills) to leave your kitchen area spotless. Also when you are a fan of baking, you don’t realize it too late that your oven has been overly greased and smeared with oil. Touching the lubricated surface is not your priority. Don’t worry about it when we are in your service. 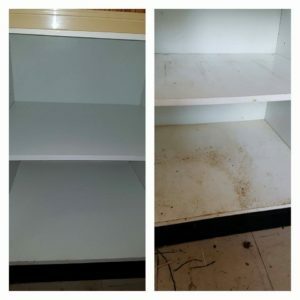 From our long list of services, kitchen cleaning happens to be the one! From cleaning your counters, or the little table in your kitchen for breakfast, your sink, your oven and every part of your kitchen is thoroughly cleaned and spotless when we leave it for your use. Any splatter inside your microwave or your oven is cleaned. Any chairs present, the cupboard fronts, counter tops are cleaned with damp cloth, so they are shining when you see them. We are available any time you want. Either daily, monthly, weekly or occasionally, we will be at your service. We also offer you reasonable prices, for you ease. With our experienced, and efficient team, we assure you, your kitchen will be left twinkling!